Ahead of a showing at E3 next week, Focus Home Interactive has released the first trailer (which you can watch towards the bottom of this article) for Fear the Wolves, the upcoming battle royale from a team of former STALKER devs. 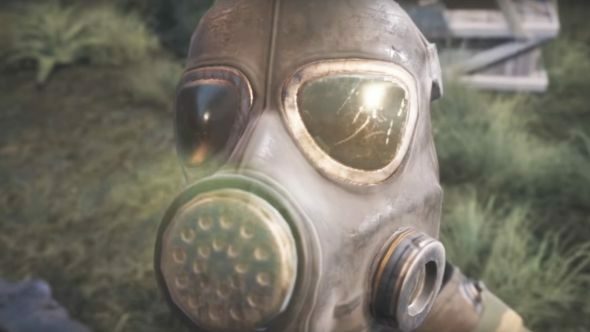 Fear the Wolves’s battle royale is set within the shadow of Chernobyl, in a world mutated by years of exposure to radiation leaking from the plant. In standard battle royale fare, 100 players will parachute into the world, fighting each other – and those pesky, titular wolves – for the top spot. Fortnite, PUBG, and now Realm Royale are all vying for the top spot – but which is the best battle royale? It’s that combination of PvE and PvP which stops Fear the Wolves from being another simple PUBG clone. We got our first proper look at the game last week, when developer Vostok Games released its first batch of Fear the Wolves screenshots, but those were heavily focused on the game’s post-apocalyptic world, with only one image showing off anything resembling combat. The trailer gives us a much better idea of how each game will play out. It’s incredibly bleak, as you might expect, telling the story of a match through the eyes of a single player. That’s helpful, as it offers a good look at several different gameplay aspects. After the character drops into the game, they find an axe. Witnessing a supply drop, they head towards it, having to contend with both a pack of hungry mutant wolves and another player in order to secure their reward. That player’s gear allows them to head into the areas of the map beset by deadly radiation, and leads them towards what seems like surprisingly fast-paced gunplay. Fear the Wolves will get its official reveal at E3. If you want even more STALKER, you might be glad to learn that STALKER 2 has been announced, but don’t expect to see it before 2021.